Some of the statistics regarding auto accidents in the United States are staggering. 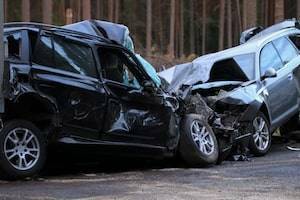 With six million annual car accidents, more than three million people are injured each year, including 90 deaths per day. Every year, around two million individuals suffer auto accident injuries that have permanent effects. Most accidents are caused by driver negligence, and they are the result of poor driving habits, intoxication, distraction, or a combination of those factors. If you are injured in an auto accident due to the actions of another driver, you can face costly medical bills, lost wages, rehabilitation, and pain and suffering. Accident victims need a skilled personal injury attorney who can pursue and secure the compensation they deserve. Each day, more than 1,000 people are injured in crashes that involve a distracted driver, with an average of nine fatalities. If you text while driving – which one in three drivers are guilty of – you are 23 times more likely to be involved in an auto accident. Unfortunately, despite all the evidence and warnings, some people just cannot put their phone down while they are behind the wheel, and the results can be catastrophic. Around 40 percent of all fatal accidents are at least partially attributed to drinking and driving. A total of 330 people were killed in Illinois in 2017 in alcohol-related wrecks, and more than 27,000 DUI arrests were recorded by the Secretary of State’s office. Regardless of the stiff penalties for DUI in Illinois, drunk driving remains a serious problem. Excessive speed is to blame in 30 percent of fatal car crashes, while reckless driving plays a role in 33 percent of collisions that result in death. Driving is a privilege rather than a right, and far too often, drivers disregard their duty to protect others’ safety and engage in tactics that endanger themselves and those around them. Simply put, if you have to speed and weave in and out of traffic to get where you are going on time, you should leave earlier, and the need to get to your destination on time is not an excuse for causing injuries to others. At Walsh, Knippen & Cetina, Chartered, we understand the physical and emotional difficulties that often accompany injuries sustained in an auto collision. We strive to protect the rights of accident victims, and we will work to ensure that you receive the compensation you need as you work to make a full recovery. For a free consultation to see how we can help, call a DuPage County personal injury attorney at 630-462-1980 today.